We have nearly finished the January Vacation Care program and will be releasing this shortly. We are looking forward to some new adventures and experiences. We were very kindly donated scooters and protective pads as well as helmets. These have been very well received and the children are enjoying using these immensely. 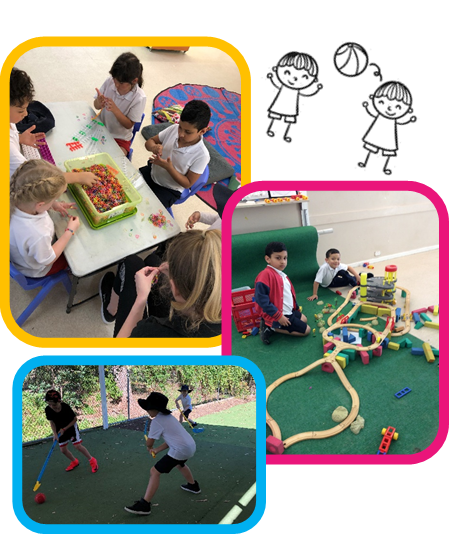 We’ve been busy this month enjoying Orbeez, Kinetic Sand and Loom Bands. The group have been hard at work making catapults using wood, nails and rubber bands. There has been lots of discussion surrounding trajectory and distance; hands on learning is so valuable to our children’s development. We have been enjoying hockey, soccer, gardening, construction, dress ups, and cooking experiences. If anyone has any tinsel they are not using we would really appreciate if you brought this in to us for our Christmas crafts. We have begun fundraising for the service selling Cadbury chocolates. Please see the OOSH staff if you would like to buy some chocolate.